Abstract: Whiteness is one of the important optical properties of minerals. In order to deepen the research and application of the minerals' optical properties and white mineral functional materials, based on the test results and Ye Danian's theory of structural optical mineralogy, the main influential factors of mineral whiteness were systematically studied, as well as the differences in the whitening effects of minerals and its production mechanisms. The research showed that crystal chemistry is the most important factor in determining the whiteness of different transparent minerals, but for a certain kind of transparent minerals, carbonaceous organic matter, iron-titanium-containing mineral impurities, the valence states and the crystal-chemical environment of impurity elements, the medium used, the water in minerals, and the particle size of minerals are the main factors affecting the whiteness of the minerals. It is proved that the whiteness of transparent minerals is proportional to the refractive index. The whitening effect of different minerals with the same whiteness is very different. The fundamental reason is that the reflectivity determined by the refractive index of minerals is very different. And the concept of true whiteness and false whiteness is proposed. The whiteness mainly caused by idiochromatic color is called true whiteness, and the whiteness mainly caused by pseudochromatic color is called false whiteness. The white powder with high true whiteness has a whitening effect, while the mineral with low true whiteness has no whitening effect even if the whiteness of its powder is high. In the main factors that affect the whiteness of minerals, the carbonaceous organic matter, iron-titanium-containing mineral impurities and impurity element valence in minerals have the negative effects on the whiteness and whitening effect of minerals. The color caused by the water in mineral is idiochromatic, and the removal of crystal water, interlayer water and structural water in mineral is beneficial to increase the true whiteness and whitening effect of the mineral, but the effect of removing the zeolite water is just the opposite. The color produced by the variety of mineral particle size and the change of the particle size of the mineral belong to the pseudochromatic color. The whiteness increased by reducing the particle size of the powder is the false whiteness, and thus the increased whiteness has no whitening effect. In addition, the greater the differences exist in the refractive index between the mineral powder and the medium used, the more obvious the whitening effects will be. Bao C and Huang JS. 1978. On factors controlling the quality of antimony white pigment. Acta Metallurgica Sinica, 14(1): 27-32, 111. Chen DM, Li WY, Jiang ZC and Cao XQ. 1995. Study on the composition and the influential factors of whiteness of Kaolin in Guizhou Province. Non-Metallic Mines, (3): 10-11. Chen XF, Xiong L, Wang C, Zhang HR and Chen XD. 2017. Effect of acid modification on whiteness and composition structure of low grade palygorskite. Bulletin of the Chinese Ceramic Society, 36(12): 4198-4204. Chen ZH and Liu CH. 2006. Titanium Dioxide Production and Application Technology. Beijing: Chemical Industry Press. Deng M, Wang L and Lin JH. 2006. 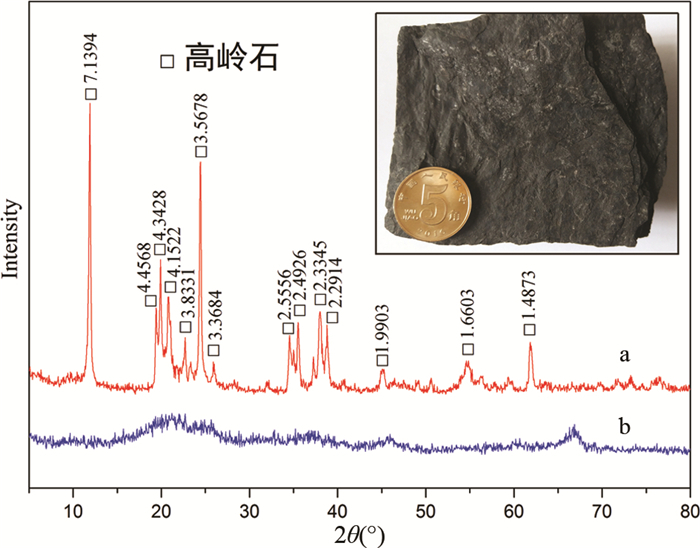 Characteristics of micro-crystal muscovite in West Sichuan, China:An X-ray powder diffraction analysis. Journal of Mineralogy and Petrology, 26(2): 13-18. Dong FQ. 2015. Applied Mineralogy. Beijing: Higher Education Press. Duan ST. 2010. Solar energy glass deferrization purifying process by using silica sand. China Glass, (1): 3-7. Jiang SX. 2002. The existing characteristic of the carbonaceous substance in the wooastonite in Nanyuandong of Guangxi Province and its influence on the whiteness of the wollastonite powder. Journal of Mineralogy and Petrology, 22(1): 10-14. Liu YL. 2005. Latest quantitative evaluation of whiteness color. SCI/TECH Information Development & Economy, 15(16): 261-262. Liu YZ and Zhou CL. 1995. The emulsifiable glaze made of zircon and effect of different additives. Journal of the Chinese Ceramic Society, 23(5): 588-592. Pan ZL. 1993. Crystallography and Mineralogy (Volume One). 3rd Edition. Beijing: Geological Publishing House. Pan ZL. 1994. Crystallography and Mineralogy (Volume Two). 3rd Edition. Beijing: Geological Publishing House. Sun L. 2014. Analysis of factors influencing the titanium dioxide whiteness. Sichuan Metallurgy, 36(1): 60-65. Wang DZ and Xie L. 2008. Optical Mineralogy. 3rd Edition. Beijing: Science Press. Wu HB. 2002. Inorganic Non-Metallic Materials Experiment. Beijing: Chemical Industry Press. Xu FF, Li JH and Wang YC. 2010. Whitening and phase variation of black talc by calcination from Guangfeng area, Jiangxi Province. Non-Metallic Mines, 33(6): 15-17, 60. Ye DN. 1982. Refractivities, molecular volumes and microscopic densities of different structural forms of water in minerals. Scientia Geologica Sinica, (3): 290-298. Ye DN. 1988. Structural Optical Mineralogy. Beijing: Geological Publishing House: 230. Yuan J and Ma LF. 1996. Whiteness and brightness of kaolin and its test method. Non-Metallic Mines, (6):20-24, (6): 20-24, 41. Zhong QY, Lie XQ, Lin SY and Cao Y. 1990. The effect of impurities on the whiteness of antimony trioxide. Journal of Central-South Institute of Mining and Metallurgy, 21(6): 610-614. 鲍超, 黄际商. 1978. 锑白白度研究. 金属学报, 14(1): 27-32, 111. 陈大梅, 李文瑛, 姜泽春, 曹秀琴. 1995. 贵州省高岭土的物质成份和白度影响因素的研究. 非金属矿, (3): 10-11. 陈雪芳, 熊莲, 王璨, 张海荣, 陈新德. 2017. 酸改性对低品位凹凸棒石的白度和组成结构的影响. 硅酸盐通报, 36(12): 4198-4204. 陈朝华, 刘长河. 2006. 钛白粉生产及应用技术. 北京: 化学工业出版社. 董发勤. 2015. 应用矿物学. 北京: 高等教育出版社. 段树桐. 2010. 太阳能玻璃用硅砂除铁提纯工艺. 中国玻璃, (1): 3-7. 潘兆橹. 1993. 结晶学及矿物学(上册). 第3版. 北京: 地质出版社. 潘兆橹. 1994. 结晶学及矿物学(下册). 第3版. 北京: 地质出版社. 王德滋, 谢磊. 2008. 光性矿物学. 第3版. 北京: 科学出版社. 伍洪标. 2002. 无机非金属材料实验. 北京: 化学工业出版社. 叶大年. 1982. 矿物中水的分子折射度和分子体积. 地质科学, (3): 290-298. 叶大年. 1988. 结构光性矿物学. 北京: 地质出版社. 袁军, 马兰芳. 1996. 高岭土的白度和亮度及其测试方法. 非金属矿, (6): 20-24, 41. 钟启愚, 列醒泉, 林世英, 曹彦. 1990. 杂质对锑白白度的影响. 中南矿冶学院学报, 21(6): 610-614.